We are pleased to announced the World Premiere of Life directed by Daniel Espinosa as our Closing Night Film on Saturday March 18, 2017 at the Zach Theatre. 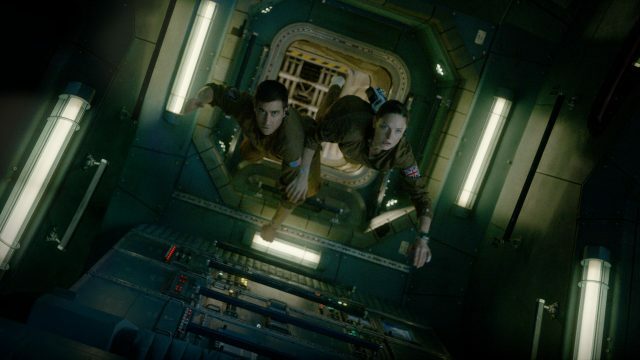 Columbia Pictures and Skydance’s Life is a terrifying sci-fi thriller about a team of scientists aboard the International Space Station whose mission of discovery turns to one of primal fear when they find a rapidly evolving life form that caused extinction on Mars, and now threatens the crew and all life on Earth. Life features an ensemble cast of Jake Gyllenhaal, Rebecca Ferguson, Ryan Reynolds, Hiroyuki Sanada, Ariyon Bakare, Olga Dihovichnaya. The film is directed by Daniel Espinosa, written by Rhett Reese & Paul Wernick and produced by David Ellison, Dana Goldberg, Bonnie Curtis, and Julie Lynn. Columbia Pictures and Skydance will release the film on March 24, 2017. SXSW also announced several titles set to screen at the 2017 event, including world premieres Atomic Blonde directed by David Leitch and featuring an ensemble cast including Charlize Theron, James McAvoy and John Goodman, and Parker Smith’s Ramblin’ Freak. Another addition includes a celebratory 10th Anniversary screening of Gary Hustwit’s Helvetica, plus VR projects Miyubi and The People’s House by Félix Lajeunesse and Paul Raphaël. Miyubi Directors: Félix Lajeunesse, Paul Raphaël Love in the age of obsolescence. The People’s House Directors: Félix Lajeunesse, Paul Raphaël An intimate tour of the White House that gives the viewer extraordinary access to explore the iconic institution’s profound history – from the past eight years of the Obama administration to defining events of the last two centuries. Helvetica: 10th Anniversary Screening Director: Gary Hustwit The pioneering design documentary Helvetica premiered at SXSW in 2007, and kickstarted a wave of dozens of design films that have been released since. Join director Gary Hustwit for this special 10th Anniversary screening of Helvetica.